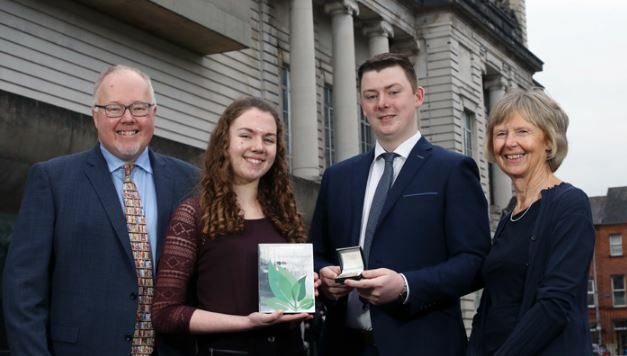 The Hans Sloane Award recognizes Northern Ireland’s top achievers in ‘A’ Level Biology, Chemistry and Physics. The Award was established in 1960 to commemorate the life and work of the celebrated Killyleagh physician, scientist and collector, Sir Hans Sloane. 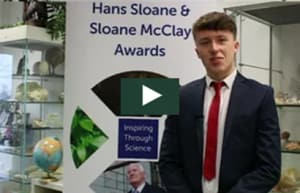 In 2017, a new award was established, the Sloane McClay Award, to commemorate the life and work of not only Hans Sloane, but also Sir Allen McClay, the visionary entrepreneur and businessman from Cookstown, Founder of the Almac Group. This Award recognizes Northern Ireland’s top achievers in GCSE level Biology, Chemistry, Physics and Mathematics. 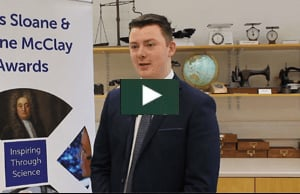 In January 2019, the Sloane McClay Awards ceremony was held in the Ulster Museum, Belfast, to honor the students who excelled in GCSE and ‘A’ Level STEM subjects. The winner of the Hans Sloane Medal was Fionán McBride, a former pupil of Christian Brothers’ Grammar School, Omagh, who was also presented with a certificate and a check for £500. He is now studying Medicine at Queen’s University, Belfast. Christian Brothers’ Grammar Senior Teacher Mr McBride also received a Hans Sloane medal on behalf of the school from Professor Su Taylor, Dean of Research, School of Natural and Built Environment, Queens University Belfast. Second place certificate and a check for £300 was presented to Erin Fitzsimons-West from Assumption Grammar, Ballynahinch. Joint third place certificates and checks for £150 each were presented to Luke Hall from Sullivan Upper, Holywood and Tara McConville from Mount Lourdes Grammar, Enniskillen. The Sloane McClay awards were presented to Samantha Collister from Antrim Grammar School and principal Mrs Jenny Lendrum by Professor Tim Harrison, VP Drug Discovery, Almac Discovery. Samantha achieved the highest combined marks in biology, chemistry, physics and maths at GCSE level. Samantha, who is now studying for her ‘A’ Levels in Biology, Chemistry, Physics and Maths also received a check for £250 and has been offered a work placement at Almac during her ‘AS’ Level year. Watch what the winners, and Professor Harrison, had to say about the event and their experiences below. Interested in next year’s awards? Winning students are invited to attend an annual prestigious awards ceremony in January where they receive certificates and checks up to £500 in addition to the top student, and their school, receiving a Hans Sloane bronze medal and Sloane McClay award for their relevant education level. 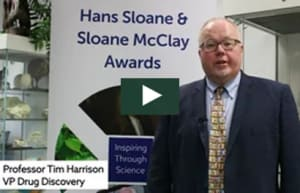 If you are a teacher or student and would like to know more about the Hans Sloane or Sloane McClay awards, please do not hesitate to contact us here. Both Sir Hans Sloane and Sir Allen McClay were inspired by science in different ways. Their work and values will inspire generations that follow through their passion and commitment to science and the benefits they left to society. They both used their time and wealth to help others and were recognized for their contributions to the world of healthcare. We need more people willing to make a difference to knowledge, understanding and society. You can. I studied Biology, Chemistry, Physics and Mathematics at A-level at Sullivan Upper School in Holywood, before going on to Queen’s University Belfast to study Medicine. 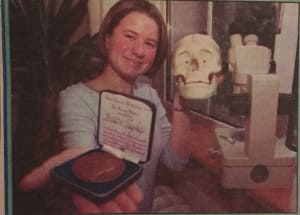 During my time as an undergraduate I was awarded prizes and medals in both pathology and general medicine, and achieved distinctions throughout the course. I took part in an Erasmus exchange program in my 4th year, studying obstetrics, gynecology and pediatrics at the University of Oslo. I then undertook an overseas elective project in pediatrics and neonatology at the Children’s’ Hospital in Westmead, Sydney, Australia. I am currently a Consultant Nephrologist (Kidney Specialist) at the Wessex Kidney Center based in Portsmouth, and the Clinical Research Physician at the University Hospital Southampton NHS Foundation Trust (UHS). In my medical capacity, I see patients who have the full range of kidney related illnesses, including those who are on dialysis or have had a kidney transplant. In my research role I work from a base in the Research and Development department to facilitate clinical research across UHS. I also support and mentor research fellows, representing them as the Lead for Medical Clinical Research Fellows on the Southampton Academy of Research. I am a Visiting Fellow of the University of Southampton. Following graduation I moved to Southampton as I wanted to experience working as a doctor outside of Northern Ireland. I completed my basic medical training in the Wessex region and then secured a training number in Nephrology in North Thames, London. Following two years of clinical training at Imperial and the Royal Free I went on to undertake a PhD in Clinical Pharmacology and Nephrology at UCL, which I was awarded in 2015. My research interests are in kidney transplantation and specifically in simple interventions which improve outcomes for patients. Following three years of dedicated research time I completed my clinical training at the Wessex Kidney Center prior to being appointed as a Consultant. I am currently in the process of applying for a NIHR postdoctoral research fellowship. I have been part of the trial steering committee of a multicentre multinational randomized controlled trial, the Renal Protection Against Ischaemia Reperfusion (REPAIR) in transplantation which looked at the effectiveness of a simple, safe and virtually free intervention, remote ischaemic preconditioning (RIPC) in improving kidney function following transplantation. I have presented research at international meetings, the highlight being presenting the long term results of REPAIR at the American Society of Nephrology High Impact Clinical Trials session, the most highly regarded forum in the field of clinical research in Nephrology. 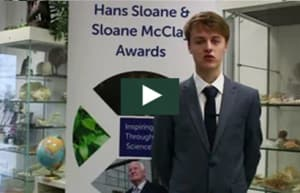 What did winning the Hans Sloane award mean to you? 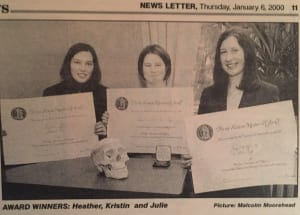 Winning the Hans Sloane Medal back in 1999 was a shock to me as I never really believed in myself or my abilities while at school. The recognition I achieved as a result of having the award has been a springboard into academic medicine, as it is a distinction on my CV which makes me stand apart from other applicants. Have you any advice for aspiring scientists? Believe in yourself and your capabilities. If you are passionate about science and understand the positive contribution you, as an individual, can make in the world then follow your dream.